Madeline Whittington, daughter of the deceased Earl of Richfield, emerges from English society's prescribed period of mourning in the winter of 1815. Madeline believes that she no longer belongs in a world of gossip and gowns; instead she wants to help the orphans living within the walls of Ashcroft Insane Asylum. Once there, she discovers a dark secret within the asylum walls. Because of his elder brother's unexpected death, Devlin Greyson becomes Earl of Ravensmoore and struggles between two worlds: one of affluence and privilege and one of poverty and disease. Torn between his desire to become a doctor and the numerous responsibilities of his title, he wrestles with God's will for his future. Will he be able to honor this God-given gift and win the woman he falls in love with in a society that does not value gentlemen who work? And will Lady Madeline Whittington be able to honor her father's memory when she is attracted to the one man who could destroy the promise she made to her father? Jillian has been a member of American Christian Fiction Writers for several years. She has also been a member of Romance Writers of America for 20 years and a member of The Beau Monde, Kiss of Death, and Faith, Hope, and Love specialty chapters of RWA. 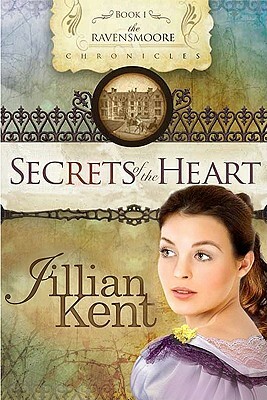 With a master's degree in social work, Jillian is employed as a counselor for nursing students, which reflects within the pages of her first novel, Secrets of the Heart, which won the 2009 Inspiration for Writers contest, previously finaled in the Daphne du Maurier, the Noble Theme, and Faith, Hope, and Love's Touched by Love contests.